We're a fast-growing, fun team working in a beautiful beach site office. 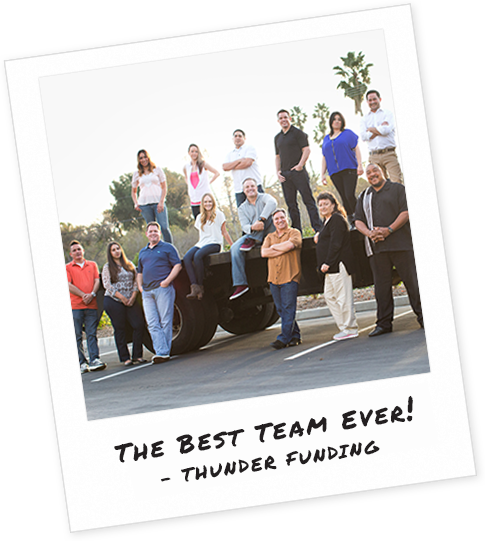 Culture means everything to us at Thunder Funding which resonates over to our overall customer satisfaction. If you're driven, hard-working and share an enthusiasm for excellent service and if you can laugh and smile everyday - then we want you! We’re always on the lookout for outstanding candidates to join our team. Simply find the position you’re interested in and you can apply right here on the site by uploading your resume. "Love this place. The environment is amazing. The people are great and the culture is super invigorating. You couldn't pick a better place to work. Hands down." "Top notch people. Top notch company. Makes coming to work fun again."